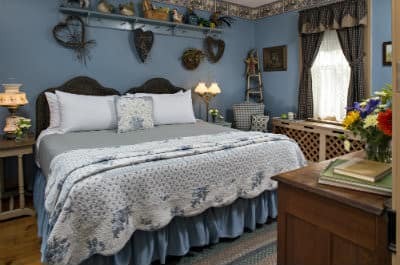 Nestled in the heart of the second floor across from the Rose Room, the Homestead Room features a warm, welcoming mix of country furnishings. 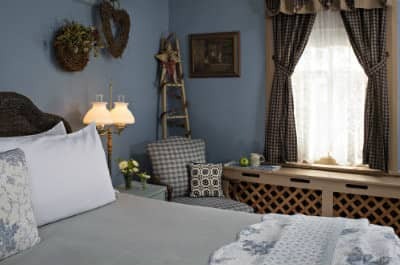 You’ll feel at home in this cozy room featuring a king-size bed which is convertible to two twin-size beds. 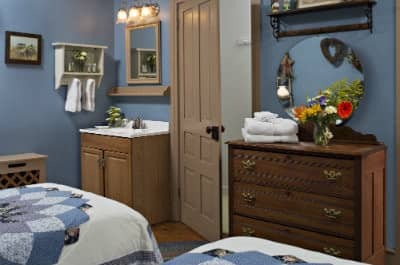 A private bath with spotless white towels completes this friendly room.